So you’re interesting in blogging huh? Well, good for you. In my mind, blogging is one of the best things you could do in this day and age. Your blog is a vehicle for expression, do with it what you will. It’s perfect for building your personal brand while learning a little about yourself and this world we live in. So where do we start? First, let me communicate the value of a blog. I hinted upon its branding capabilities already but a blog can be so much more. Need a place to get your ideas out? A little room for self actualization? Nothing enriches your thoughts more than by putting them down. The ability to link to other bodies of work only serves to paint a broader and deeper picture. The sky’s the limit! The Internet has ceased to be a scary place. This past decade, with the rise of web 2.0, has focused incredible energy towards ease and function of the web. Chances are this won’t be your first social media profile so you already have some experience setting one up. Blogs are no different. Have a business you would like to promote? Blogs are social in nature, build something worthwhile and sooner or later you’ll get the attention you’re looking for. This is not to say that you should have a simple, “if you build it, they will come” mentality, rather think of this as a lower barrier of entry. No need to spend a significant amount of cash in order to get traffic and attention you need. Who’s to say you blog can’t be your website? Hey, it’s mine 🙂 If your blog has your contact info, links to social media pages, product information, branding, and other media, how does that differ from any other website? Sure you have a little less control but starting out, a blog is perfect. Baby steps here people, baby steps. I have been a long advocator for building your personal brand online. Like I said earlier, there is little to no barrier of entry. As a simple idea, think of your blog as a personal, adaptive, in depth resume. People are hiring people and not just qualifications on a page, show them how you think, work, and feel. Just like any other social media tool, your blog can be used a platform to meet and converse with people. By creating a little niche in this world wide web, you can aggregate people with similar tastes and interests. 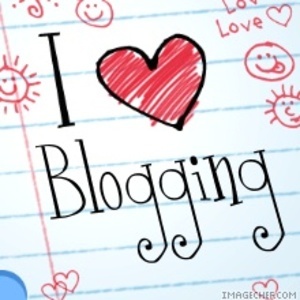 Using your blog as a magnet for conversation, you will be amazed on what happens. As a personal example, this post you’re reading right now is a result of this sort of interaction. Dewi and I met through a guest blog post I did a couple of weeks ago on another site. We began talking and look where we are now 🙂 It could happen to you! There are numerous blog platforms out there for you to pick from. Here is a list of the more popular ones. Though they serve the same purpose, they vary slightly. I would suggest you take a quick look and find the best match for you. You can’t go wrong with either one though. Take a look. Though this is not a life or death decision, there should be a little thought put into this next step. Choosing a theme will help brand your blog, you will be able to change this but consistency counts for something right? No need to be fickle with your audience. After all, a brand is a brand, you don’t see Pepsi switching colors on you now do you? Your username/blog title is a unique name that may be hard to change after the initial sign up. You may want to mediate on this for a while. Once you have come up with a name that will communicate what you want, hold on to it. You have built the foundation, it’s time you furnish it with your dreams, passions, goals, and ideas. Create interesting posts that will drive conversation. Conversation is the key to blogging and with that the rest will follow. Use your blog as an opportunity to meet people, brand yourself, promote your product/ideas, and sharpen your communication skills. Dan Fonseca is currently a Communications student at Northeastern University in Boston and writes his very own blog Synapses. He enjoys thinking about the bigger picture and looks to bring people together in anyway he can. Dan loves his brie and sushi too. Oh yeah, he’s also proud to be from New Jersey so watch what you say 🙂 You can find him on all his social media sites here. How’s that for a personal brand?